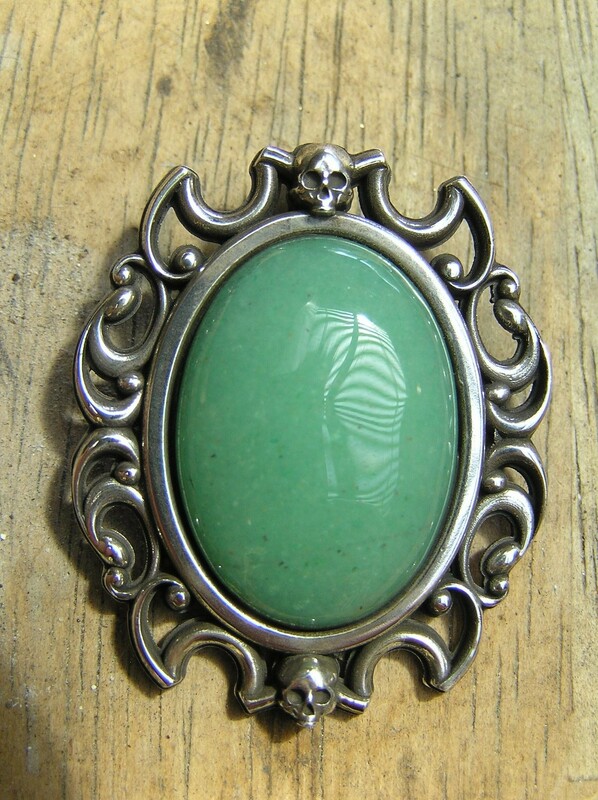 This is the skull bezel pendant. The focus of this pendant is an 18 mm wide x 25 mm high cabochon that is bezel set. The filigree around the stone is accented by 2 skulls, one at the top and one at the top and one at the bottom. The size of this pendant is 31.2 mm wide x 39 mm high. Sterling silver. .
Design Notes: When I acquired these stones, they reminded me of Victorian cameos. So that was how I approached this design, building my version of a filigree.